Waffle House is known for a number of dubious things, but a gourmet, expensive menu is definitely not one of them. 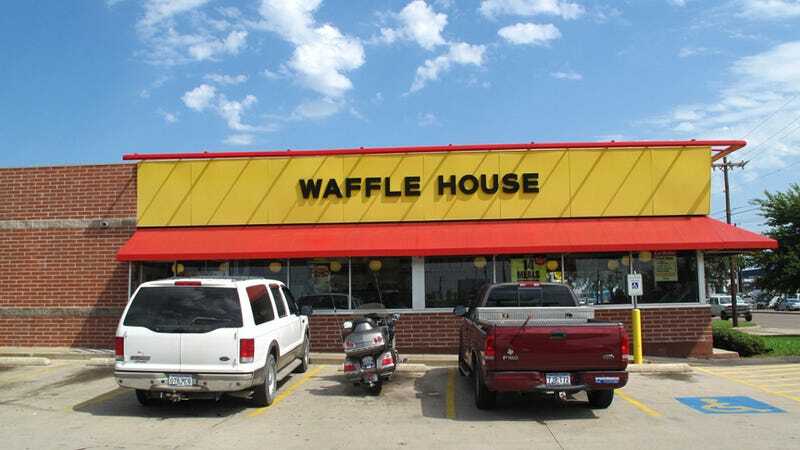 In what has to be the cheapest dine and dash ever, a BMW driver left a Myrtle Beach Waffle House before 5 AM on Saturday morning without paying his $7.44 bill. If he was angry about the quality of his food, he obviously never ate at a Waffle House before. Police were called to the scene, but the driver was long gone by the time they arrived. We don't imagine that the police are actually out scouring every inch of Myrtle Beach for the perpetrator's black 2002 745i.